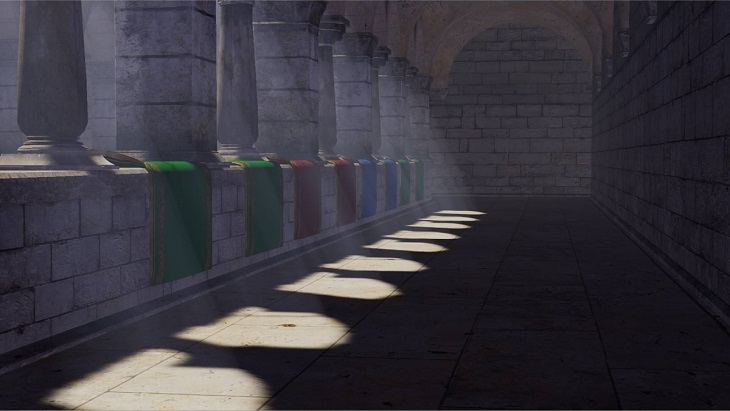 NVIDIA Volumetric Lighting implements a physical model of light scattering through DirectX shaders. Directional, omni and spot lights are supported. 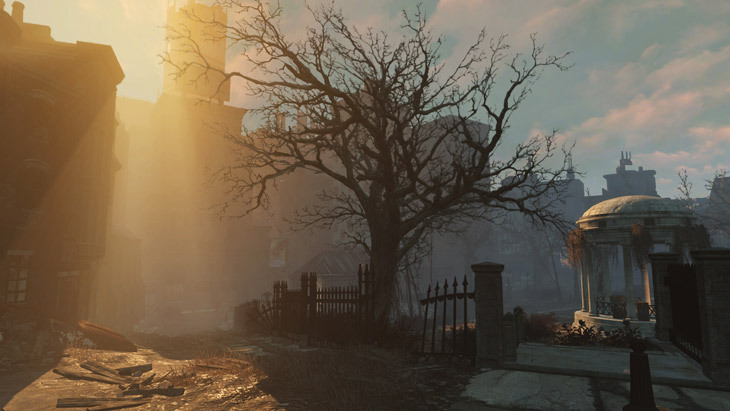 Above, NVIDIA Volumetric Lighting in Fallout 4, courtesy of Bethesda Softworks. Light shafts enhance depth and mood. The method is highly tunable to balance performance and quality across a wide range of GPU capabilities. 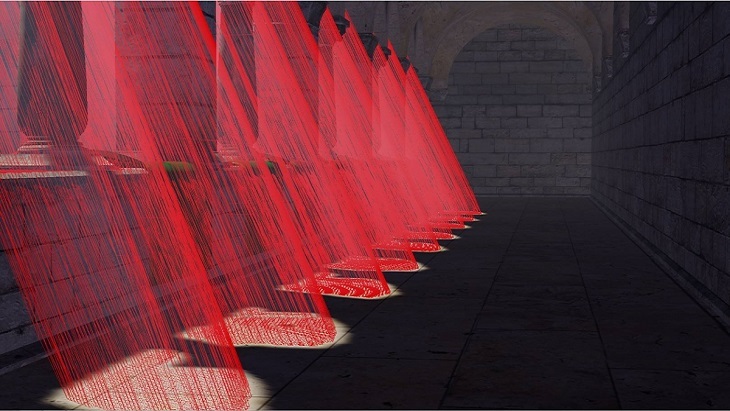 This image illustrates the volumes (in red) extruded from shadowmap data. Source on Github Note: you must join the Github Source Access team by clicking the green button above before this link will work! The sample application included with the NVIDIA Volumetric Lighting SDK demonstrates the flexibility of the effect. Here we see the effect of a moving object in front of a stationary light source. The sample application included with the NVIDIA Volumetric Lighting SDK demonstrates the flexibility of the effect. Here we see the effect of a stationary object in front of a moving light source.